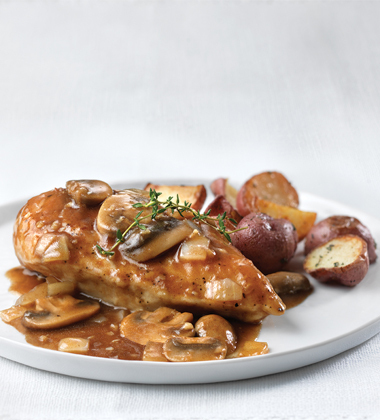 Chicken breasts are dredged in flour and sautéed with onion, mushrooms, garlic, marsala wine and Swanson® Unsalted Chicken Broth to make this favorite Italian dish that is full of flavor, not salt. black pepper, ground	 1 oz. 2 tbsp. 1. In a large mixing bowl, combine flour and black pepper. Mix well. 2. Cover the chicken pieces inthe flour mixture, and let sit. 3. In a hot sauté pan, heat vegetable oil and butter until foaming. 4. Add in the chicken and sauté on both sides. Remove from pan when cooked. garlic, peeled, minced	 1 oz. 4 tbsp. 5. Add to the pan onions, mushrooms and garlic, and sauté for 3 minutes. 6. Add wine and stock. Simmer for 5 minutes. Swanson is made from simple, high-quality ingredients you can recognize. Our chicken is sourced from farms we trust, and we select the finest vegetables and spices, picked at the peak of freshness. It starts with real chicken and bones, then we cook our broths and stocks to perfection to deliver a unique balance of flavor. 7. 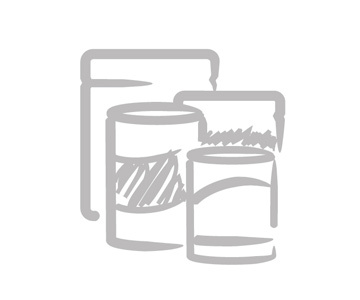 Mix cornstarch and water in a measuring cup. 8. Add the cornstarch mixture into the sauce and cook for 5 minutes. 9. Add the chicken back in and heat and serve. CCP: Heat until internal temperature is 165°F. or higher for 15 seconds. CCP: Hold at 140°F. or higher. 10. To serve- plate one chicken breast with sauce. black pepper	 0.5 oz. 2 tbsp. garlic	 1.125 oz. 4 tbsp.